The Library of Congress (LOC) is a dream destination for many U.S. genealogy researchers, but most of us can’t get there in person. 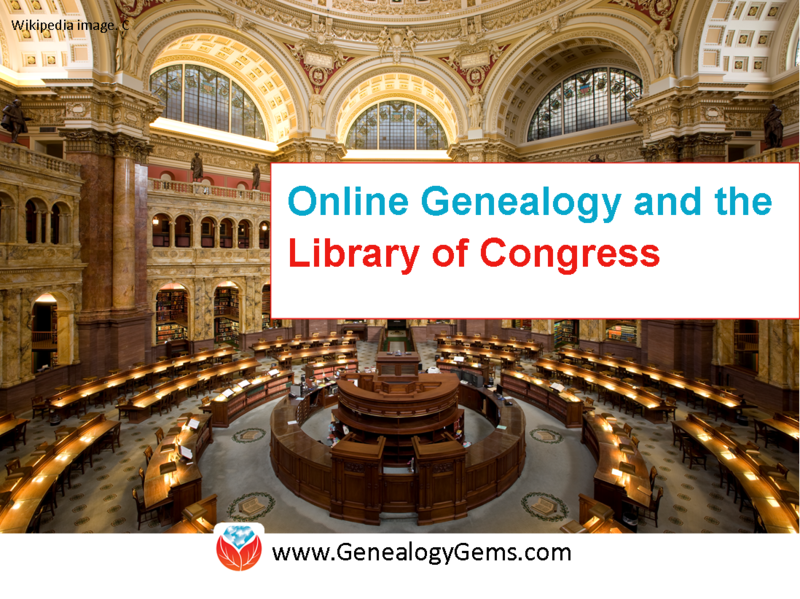 Here are 4 ways–all online–to access the mega-resources of the Library of Congress for genealogy. The Library of Congress is home to the World Digital Library, “a collaborative international project led by the Library of Congress. It now includes more than 10,000 manuscripts, maps and atlases, books, prints and photographs, films, sound recordings, and other cultural treasures. 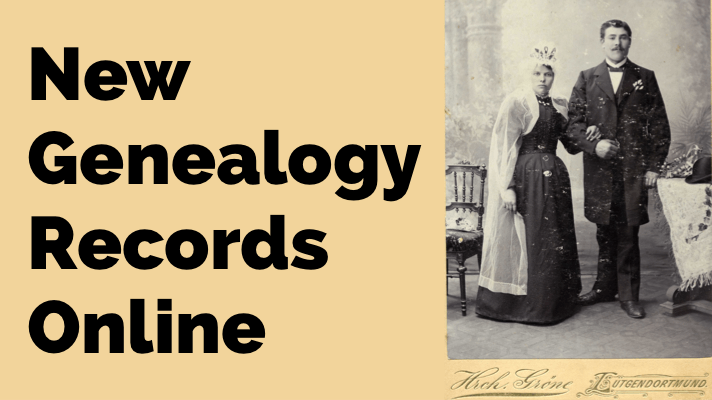 What can be useful to genealogists? The World Digital Library’s Timelines of U.S. History and World History work together with interactive maps on the same topics. The worldwide and historically deep scope of digital content can help you explore your deep cultural roots in another place. The History and Geography Section offers great visuals and includes (small but growing) sections on biography and genealogy. Advertising: classifieds, companies your ancestor worked for or owned, store ads, runaway slaves searches and rewards and ship arrivals or departures. 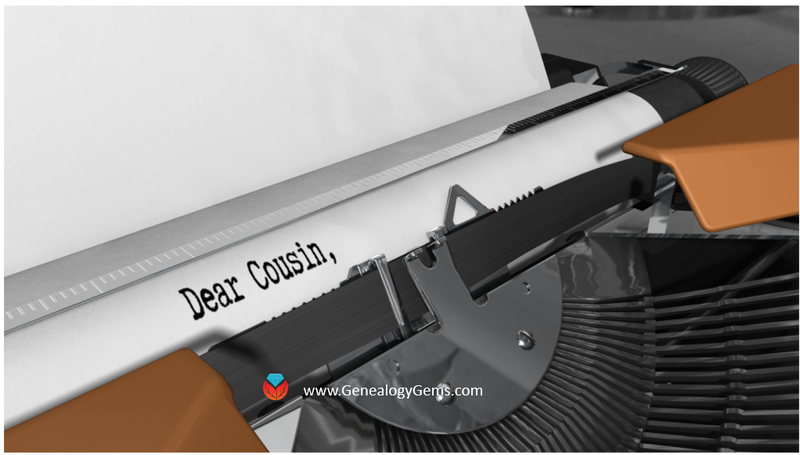 Births & deaths: birth announcements, cards of thanks printed by the family, obituaries and death notices, funeral notices, reporting of events that led to the death, etc. Legal notices and public announcements: auctions, bankruptcies, city council meetings, divorce filings, estate sales, executions and punishments, lawsuits, marriage licenses, probate notices, tax seizures, sheriff’s sale lists. Lists: disaster victims, hotel registrations, juror’s and judicial reporting, letters left in the post office, military lists, newly naturalized citizens, passenger lists (immigrants and travelers), unclaimed mail notices. News articles: accidents, fires, etc. featuring your ancestor; front page (for the big picture); industry news (related to occupations); natural disasters in the area; shipping news; social history articles. 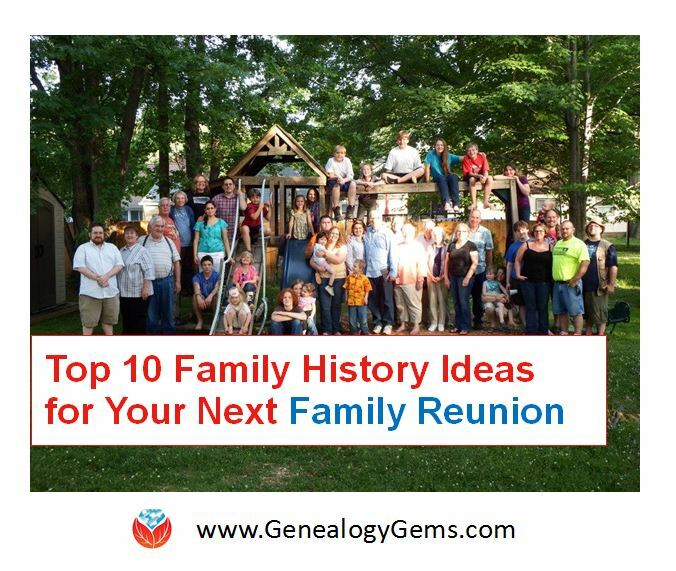 Community and social events like school graduations, honor rolls, sporting and theater events; social news like anniversaries, church events, clubs, engagements, family reunions, visiting relatives, parties, travel, gossip columns, illnesses, weddings and marriage announcements. With Chronicling America, you can also buy medicine online china subscribe to receive “old news” on many of your favorite historical topics. Sign up for weekly notifications that highlight interesting and newly-added content on topics that were widely covered in the U.S. press at the time. (Click here to see a list of topics.) To subscribe, just use the icons at the bottom of the Chronicling America home page. Flickr Creative Commons describes itself as part of a “worldwide movement for sharing historical and out-of-copyright images.” Groups and individuals alike upload old images, tag and source them, and make them available to others. The (U.S.) Library of Congress photostream has thousands of photos and a growing collection of front pages of newspapers. 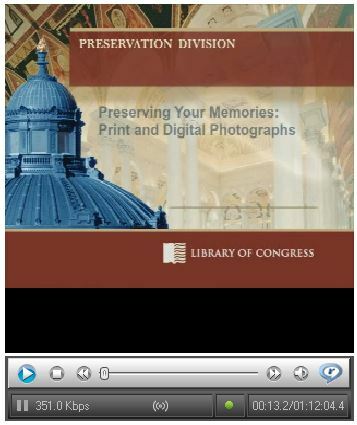 The Library of Congress has a FREE video about how to create and properly preserve digital or print archival scrapbooks. How to participate in the Library’s Veterans History Project. Also check this out: the Preserving Your Family Treasures webpage on working with originals at the Library of Congress website. The Library of Congress is Your Library, a four-minute video introduces the Library of Congress and gives a brief history. VIDEO: Exploring LOC.gov, a three-minute video highlighting the Library’s online collections and providing searching techniques. How to Find Stuff at the Largest Library in the World, a 5-minute introductory video showing how to use subject headings, research databases and other helpful tools to find books, photos, sheet music, manuscripts and more at the Library of Congress or other locations. Do you know someone who would enjoy this article? 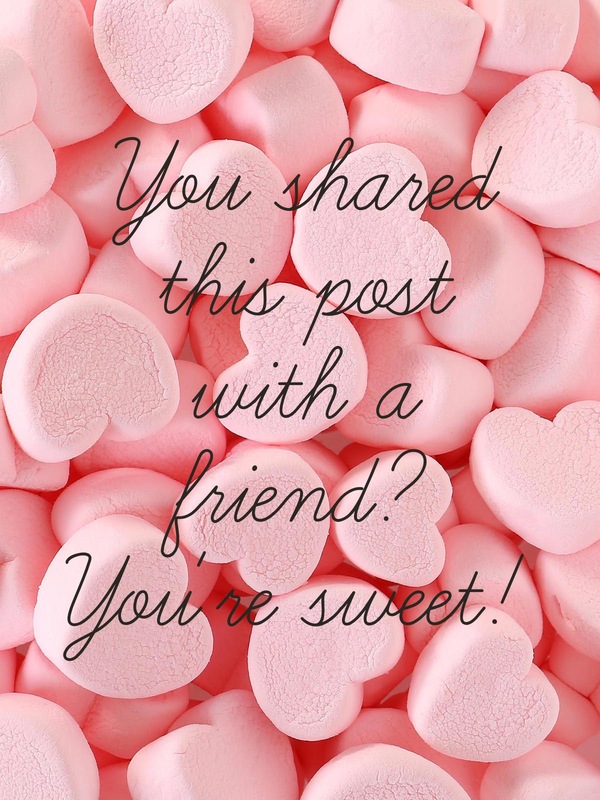 It’s easy to share by using the social media share buttons on this page.